Eee! We’re so excited that Laura Marano will be performing at the 2016 Radio Disney Music Awards are getting even better! 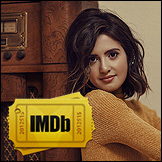 The 20-year-old singer and actress will hit the stage to perform her debut single “Boombox”! Here’s hoping that big sis Vanessa will be introducing her! “Oh, @radiodisney Music Awards, you say? 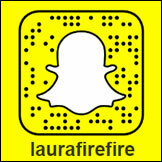 Yeah, I’m performing #Boombox on that, nbd,” Laura jokingly wrote on Twitter after the news was announced. Voting for the 2016 RDMAs is open NOW through Sunday, April 10th at Disney.com/RDMA, the Radio Disney app, Google OneBox and via Radio Disney’s Facebook and Twitter profiles. 2016 Radio Disney Music Awards will take place on Saturday, April 30th at the Microsoft Theater in Los Angeles. Source: Laura Marano To Perform ‘Boombox’ at RDMAs 2016 | 2016 Radio Disney Music Awards, Laura Marano, radio disney music awards | Just Jared Jr.